This will take you to our easy online form to get you started! Make sure you have a copy of your contract to upload so we can review this FOR FREE!! This will take you to our easy online form to get you started! 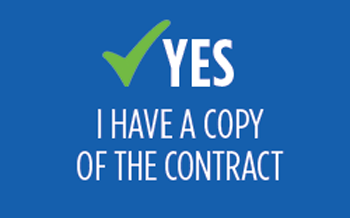 You can fill in the details and email or fax us the contract once you get your hands on it. On Call Conveyancing will simplify your property purchase for you, so that you can focus on other matters such as financing. Just give us the details of the purchase, and then leave the rest to us. Having a team of qualified and licensed conveyancers working on your behalf will take the stress out of your property purchase. Purchasing real estate is an important investment, especially when you’re doing it for the first time. The conveyancing process is complicated, and if you don’t have the specialized knowledge it can be a very frustrating experience. Therefore attempting to do it on your own is not the best option. That’s why the professional assistance of a conveyancer is highly recommended. 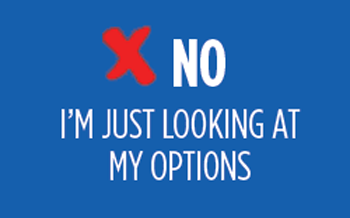 Once you contact us via telephone or email we will get things started for you. An engagement letter outlining our fees and terms of reference is prepared. Once you sign off on this, indicating that you understand and accept the terms, we can begin working. We keep you informed throughout, and respond to any queries you may have. Review the Contract of Sale before you sign and submit your offer, to ensure that there are no inconsistencies. Research the property and certificate of title to confirm that there are no easements /covenants/ Caveats or any unregistered notations that need addressing. Advise of any restrictions on the property. Assisting with the preparation of documents such as the Statement of Adjustment for Settlement. Liaise with your mortgage financier. Organise and attend settlement with the bank and the seller’s representatives and also verify that any existing mortgages have been paid off. At On Call Conveyancing we want to make sure that you are aware of your rights as a purchaser, as well as the costs involved in carrying out the transaction. Most of all, we make certain that you don’t enter into an agreement to purchase a property with issues, as this can prevent the finalisation of the sale. If you have an enquiry about a real estate purchase, please give us a call today on 02 9585 9822, or email us at info@oncallconveyancing.com.au. Research the property and certificate of title to confirm that there are no easements / covenants / Caveats or any unregistered notations that need addressing. Advise of any restrictions on the property.We clear rates, taxes and charges from the property. Liaise with your mortgage financier. Assisting with the preparation of documents such as the Statement of Adjustment for Settlement. Organise settlement with the bank and the seller’s representatives and also verify that any existing mortgages have been paid off.